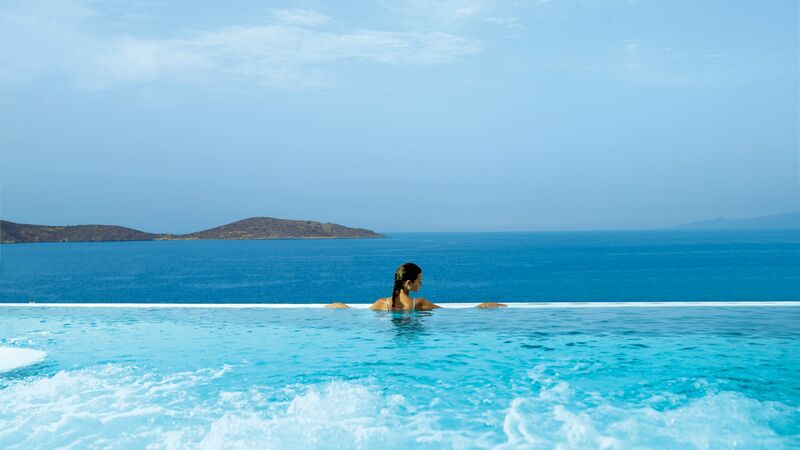 Holidays in Elounda bring you a laid back vibe, with understated luxury facilities and an excellent location. Found along Crete’s north east coastline, it’s surrounded by golden sandy beaches, historic attractions and is close to beautiful Spinalonga Island. 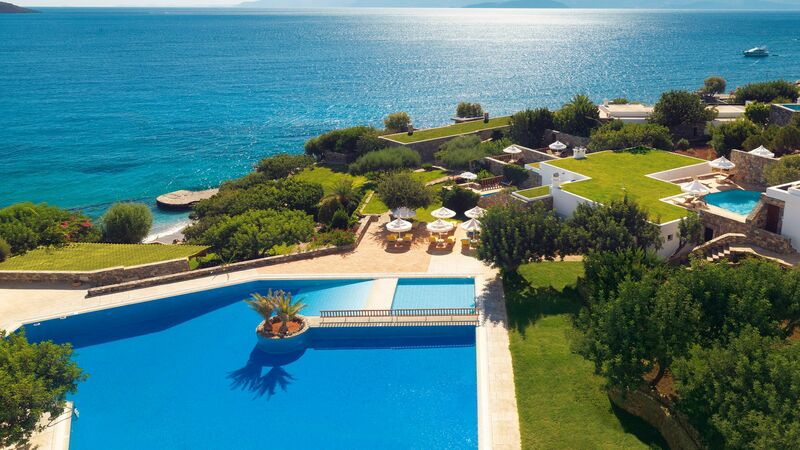 Families and couples will love the modern hotels mixed with historic architecture combined with a quiet atmosphere and proximity to Aghios Nikolaos, which is the island’s second largest town. Spend your days on one of the beaches along the north coast, choosing from large stretches of Blue Flag status sands and smaller coves. There are lively places where you can try water sports and enjoy delicious family friendly menus, as well as lots of facilities and loungers. Quieter beaches centre around the crystal clear waters of the Mediterranean and offer a chance to simply relax and soak up the sun. If you prefer to explore the history of the area there are picturesque stone windmills at the end of the bay, as well as the ruins of ancient Olous on nearby Spinalonga Island. Elounda brings you Blue Flag beaches, wonderful architecture, upmarket bars, restaurants, and shops – and a sense of the island’s history. The town is rapidly growing, adding modern hotels and restaurants, as well as facilities for couples and families alike. The main square is a thriving, historic centre where you can pick up souvenirs and gifts or indulge in some traditional Greek cuisine, while the little harbour is home to boats and luxury yachts, as well as a further selection of bars and restaurants. 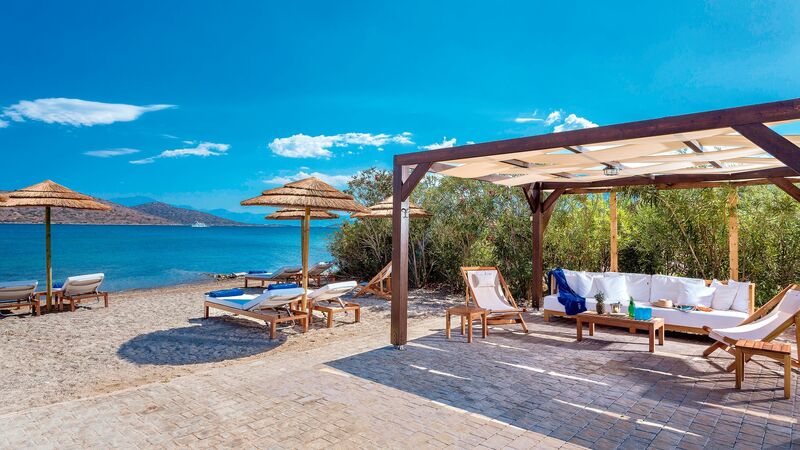 Book your luxury holiday in Elounda with Sovereign and we’ll help you create memories which last a lifetime. Each of the hotels we offer has been carefully selected for its upmarket facilities, ensuring you can simply relax. 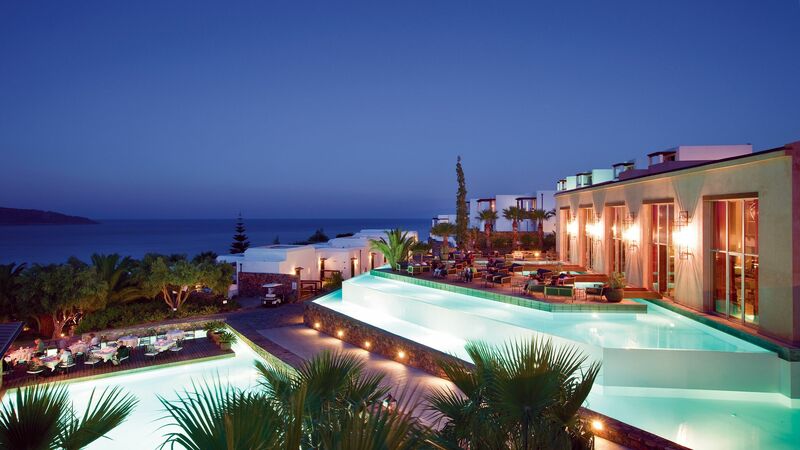 The Aquila Elounda Village has wonderful sea views, excellent cuisine, and an extensive activity programme. Elounda’s harbour is cute, colourful and typically Greek. Originally a fishing village, the harbour is one of the only parts of town that holds on to its roots as a working fishing harbour. It’s lined with restaurants serving the freshest seafood hauled off the boat that morning. The sunset from here is pretty beautiful, too. After dinner, head to the main square just off the harbour for a drink in one of the lively local bars. Transfer time from Heraklion airport to Elounda is approximately 50 minutes.